We get it. You're busy, and sometimes things come up or slip through the cracks. While we can't help you finish that last-minute presentation or ace your eleventh-hour interview, we can certainly make sure you look great even if you've procrastinated dry cleaning until the last moment. At EcoClean in Austin, TX we offer express dry cleaning in addition to all of our other top-notch services. So never fret over dingy duds again! Call EcoClean! Whether your child's christening is tomorrow, you have an important business presentation in just a few days, or any other emergency garment cleaning situation, we've got your back! Our express dry cleaning service is available for any garment that can be put through our cleaning processes at no extra charge. 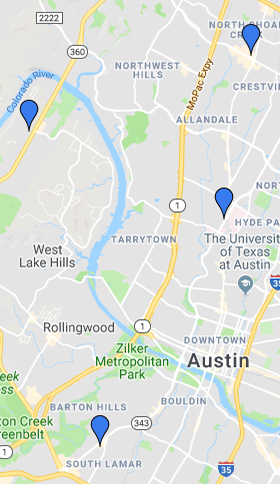 Just let our friendly staff at your closest EcoClean in Austin, TX know you need your items as soon as possible and we will have it ready for you in less than 24 hours. Our normal turnaround time is 48 hours, but we understand that urgent situations sometimes arise. EcoClean is the perfect last-minute linen and garment cleaning solution!